EBOOK - Kỹ thuật cơ bản về độ dẻo - Giới thiệu với các ứng dụng kỹ thuật và sản xuất (D. W. A. Rees) - 527 Trang. Plasticity is concerned with understanding the behavior of metals and alloys when loaded beyond the elastic limit, whether as a result of being shaped or as they are employed for load bearing structures. Basic Engineering Plasticity delivers a comprehensive and accessible introduction to the theories of plasticity. It draws upon numerical techniques and theoretical developments to support detailed examples of the application of plasticity theory. 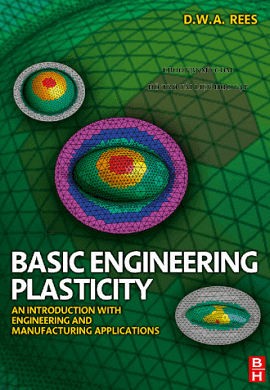 This blend of topics and supporting textbook features ensure that this introduction to the science of plasticity will be valuable for a wide range of mechanical and manufacturing engineering students and professionals.